New York- As the leaves begin to change, as the breeze turns cold, and as the shadows grow long, everyone knows Halloween is on the way. 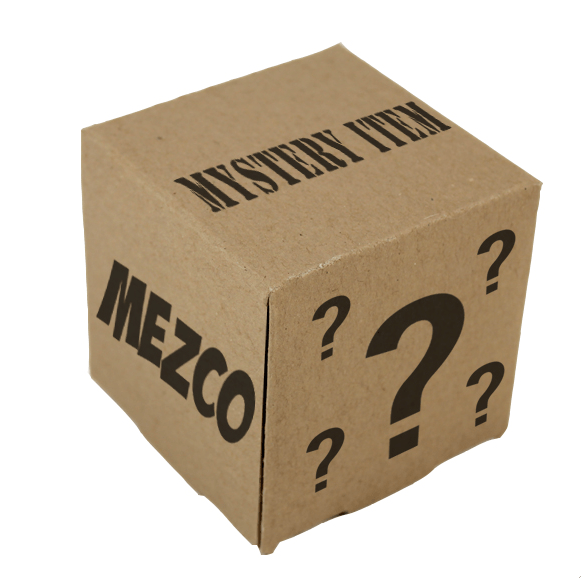 Halloween, a time for ghoulish fun, a time for surprises, a time for Mezco’s All Treat-No Trick Mystery Box. Each $20 box contains at least $40 worth of Mezco products. It could be one $40 item, two $20 items, an assortment of smaller items, or some other combination. Only 310 mystery boxes are available, and random boxes will receive treats worth up to $200. You may receive items from such popular Mezco lines as Universal Monsters, Chucky, The Living Dead Dolls, Sons Of Anarchy, Breaking Bad, Mez-Itz, Axe Cop, or others. With the magic of Halloween in the air, almost anything is possible. Supplies are limited so order while you can, and remember, don’t eat any unwrapped candy!